Forests are extraordinary places covering almost one third of the Earth's land. In the United States alone, national forests and grasslands cover 193 million acres of land, which is an area equivalent to the size of Texas. These U.S. forests are home to a huge variety of plants and animals, providing them with food, water and shelter. It is managed by the U.S. Forest Service, an agency of the U.S. Department of Agriculture. This agency ensures that its task to maintain the good condition, diversity and abundance of the nation’s forests and grasslands will meet the needs of the present and future generations. Forests are invaluable. They present the beauty of nature while providing people with food, fuel, raw materials and medicine. However, before 2005, almost 100% of roads and trails in the national forests have not been well defined. It was a disarray of mining, logging and private roads. Racetracks and makeshift public roads were mostly open for use unless specifically designated as closed. From 1972 to 2001, roads in the national forests were a government issue. The U.S. government’s rule to keep public lands roadless caused chaos and a lot of concern among off-road vehicle or ORV traffic. To solve this problem, the Travel Management Rule was created in 2005. It authorized the U.S. Forest Service to determine which of its roads were legal for public use and was ordered to provide a Motor Vehicle Use maps. As of March 4, 2011, U.S.F.S. reported that the mapping of the existing roads in the forests is now about 68% done and working on the deadline of completion, which is end of 2011. U.S. Forest Service has plenty of outdoor activities to offer. These are hiking, biking, skiing, camping, birding, using cabins, driving for pleasure, harvesting mushrooms and gathering firewood. With this multitude of activities, a map is necessary. "Visitor Maps" for each national forest and grassland presents vast information about attractions, facilities, services, and opportunities. The availability of these maps is dependent on U.S. Forest Service’s mapping of the individual forests. However, the most comprehensive map source is the U.S. Geological Survey. For Recreation Opportunity Map and Recreational Activities, please view it here. U.S.G.S. has all kinds of maps, especially the Motor Vehicle Use Maps that were first required by the Travel Management Ruling body to distinguish between a public from private roads. The Completed Motor Vehicle Use Maps was prepared and issued under 36 CFR 212.56. 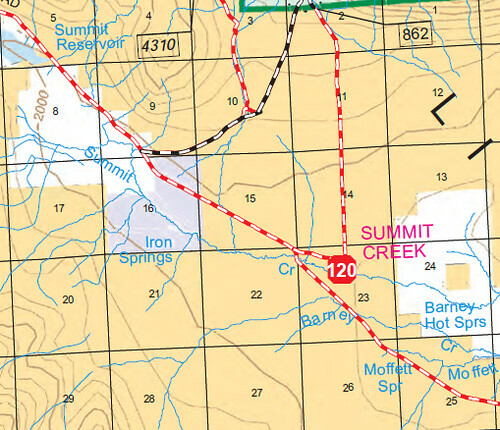 U.S. Geological Survey store also provides high quality topographic maps, specialty maps and brochures, covering specific trails, wilderness and other special areas. You must be in good physical shape and condition. Stay on developed trails or dry, solid rock areas with good footing. Inspect your equipments before the trip. Keep an eye on current and predicted weather conditions. In forest areas, weather can change very quickly. Travel only during daylight. Traveling after darkness has resulted in many accidents from falls. Carry a first aid kit and learn basic first aid. Beware of slippery areas. Running is not safe. If you drink, stay away from the cliffs. Alcohol in the body reduces judgment, agility and balance. Never drink from forest water. No matter how clean and inviting pure stream water looks, it's likely to contain microorganisms that can cause serious illnesses. Bring your own water supply. Advance knowledge of the area, weather, terrain and limitations of your body will help ensure a safe and enjoyable trip.